Mr. Justice Tariq Saleem Sheikh in his judgment has decided the issue regarding discharge of surety for loss of security by creditor financial institution in E.F.A No. 2510 of 2015. 1. This is an appeal under Section 22 of the Financial Institutions (Recovery of Finances) Ordinance, 2001 (the “Ordinance), which impugns Order dated 17-9-2015 passed by the learned Judge Banking Court-II, Lahore, whereby the Objection Petition of the Appellant was dismissed. i) Mortgage of House No.503, Block-W, Phase-III, Defence Housing Authority, Lahore, owned by the Appellant. ii) Personal guarantees of Respondents No. 3 & 4 who were the partners of Respondent No. 2, the firm in whose name the finance was extended. iii) Personal guarantee of the Appellant. 3. 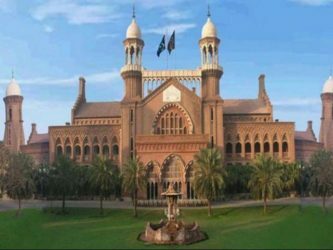 Respondent No.2 failed to pay the lease rentals whereupon Respondent No.1 filed a suit for recovery of Rs.20,939,252/- (with costs of suit and cost of funds) against the Appellant and Respondents No.2 to 4 in the Banking Court at Lahore. In response to the summons issued by the Banking Court the Appellant filed an application under Section 10 of the Ordinance seeking leave to defend the suit (the “PLA”). However, Respondents No. 2 to 4 did not enter appearance and the Banking Court decreed the suit exparte for Rs.20,843,075/- against them vide judgment and decree dated 26-1-2009. To their extent the suit was automatically converted into execution proceedings under Section 19(1) of the Ordinance and the Banking Court proceeded accordingly. So far as the Appellant was concerned, his PLA was dismissed and a decree for Rs.20,843,075/- was also passed against him vide judgment and decree dated 12-11-2013. The Appellant filed RFA No. 1393/2013 thereagainst before this Court. 4. During the course of execution proceedings qua decree dated 26-1-2009, Respondent No.1 filed an application before the Banking Court for possession of the Leased Assets on 28-1-2009. This application was accepted vide order dated 28-1-2009 and the Court directed the bailiff to deliver their possession to Respondent No.1 (Decree-holder). However, this order was not implemented whereupon Respondent No.1 made another application for the same purpose on 3-3-2009. The Court allowed this second application as well vide order dated 3-3-2009 and while doing so also appointed a Local Commission who was tasked to prepare inventory of the Leased Assets at the time of their delivery to Respondent No.1. On 3-6-2009, the Local Commission submitted his report before the Banking Court/Executing Court that Respondent No.1 had asked him to postpone the preparation of the inventory. Record does not show that order dated 3-3-2009 was ever implemented and the Leased Assets were ever delivered to Respondent No.1 in pursuance thereof. In the meantime, the Appellant traced certain personal properties of Respondents No. 3 & 4, brought them to the notice of the Banking Court/Executing Court and prayed that the same may be attached and sold for the satisfaction of decree dated 26-1-2009 that was outstanding against Respondents No. 2 to 4. 5. As already stated, the Appellant preferred RFA No. 1393/2013 before this Court against judgment and decree dated 12-11-2013 that was passed against him by the Banking Court. However, Respondents No. 2 to 4 did not file any appeal against their decree dated 26-1-2009. Since this Court had issued an injunctive order in RFA No. 1393/2013, at one stage the Banking Court/Executing Court adjourned all the proceedings pending before it. However, when the same were subsequently revived and the Court issued process for the sale of the mortgaged property (i.e. House No. 503-W, Phase-III, DHA, Lahore), the Appellant challenged the same through an Objection Petition dated 24-2-2015. This petition was dismissed by the learned Banking Court vide order dated 17-9-2015. Hence, this appeal. 6. The learned counsel for the Appellant contended that the impugned order was contrary to law and facts and thus could not be sustained. He argued that, firstly, the Leased Assets constituted the prime security in the instant case. Respondent No.1 had misappropriated the same in connivance with Respondents No. 2 to 4. It could not be permitted to sell the mortgaged property owned by the Appellant. Secondly, the Leased Assets were lost due to acts of omission and commission of Respondent No.1. Since the value of the Leased Assets was Rs.28,600,000/- which exceeded the decretal amount, the Appellant stood discharged under Section 141 of the Contract Act, 1872 (the “Contract Act”). And lastly, the Banking Court/Executing Court had adjourned the execution proceedings sine die vide order dated 20-5-2014. Respondent No.1 filed an application for their revival which was accepted by the Court vide order dated 5-6-2014 only to the extent of Respondents No. 2 to 4 qua decree dated 26-1-2009. Execution proceedings with regard to decree dated 12-11-2013 were never revived. They still stand adjourned sine die and all the orders passed in respect thereof and all the steps taken for sale of the mortgaged property were coram non judice. 7. On the other hand, learned counsel for Respondent No.1 vehemently opposed the contentions raised by the Appellant and supported the impugned order. He argued that the Appellant‟s Objection Petition was misconceived and was based on misreading/non-reading of record. He also contended that Section 141 of the Contract Act had no application to the facts and circumstances of the instant case. Respondents No. 2 to 4 have not put up appearance despite service. Therefore, they are proceeded exparte. 139. Discharge of surety by creditor’s act or omission impairing surety’s eventual remedy.—If the creditor does any act which is inconsistent with the rights of the surety, or omits to do any act which his duty to the surety requires him to do, and the eventual remedy of the surety himself against the principal debtor is thereby impaired, the surety is discharged. Further information regarding discharge of surety for loss of security by creditor financial institution can be solicited from AUJ LAWYERS. Feel free to contact us in case you need any clarification and/or require legal assistance regarding similar matters. This entry was posted in Banking, Case Laws, Corporate, Corporate Law, Execution, Knowledge – Corporate Law, Lahore High Court, Litigation & Arbitration, Objection Petition, Solutions - Corporate Law, Surety Discharge. Bookmark the permalink.